My Favorite Camera Lenses for Food Photography post is the 2nd post in my Free Food Photography How To Series, where I share the lenses that I use on IK to take my food photography shots. Before we dive into the lenses in my bag, let me first say that it is not necessary to use the equipment I have, to take phenomenal food photography shots! Please note that this post does contain affiliate links, because I wanted to share my recommendations and where you can buy them. To start, I love photography and shoot many topics: food, headshots, portraits, senior photos, family photos, pet photos, landscape and macro shots. But, for this series, I’ll specifically talk about the lenses I use for food photography. I love this lens. It’s got great glass, it takes crystal clear shots and it is my go-to lens for every photo shoot. I use this lens 80-90% of the time for all my food photography. In my next post (My #1 Favorite Food Photography Lens), I will share all the pros and cons of this lens, what I love about it, and what I don’t love about it, and why. 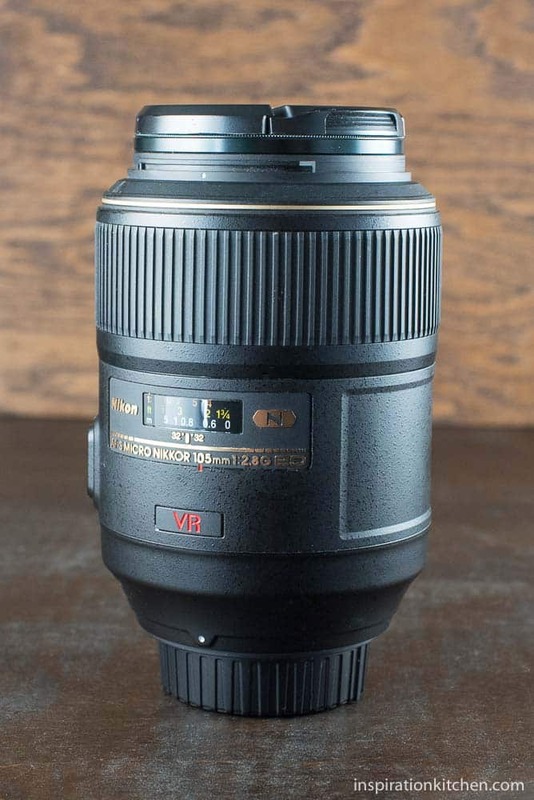 This lens is the 2nd most expensive lens in my food photography bag. Although pricier than other lenses, the result is extremely clear, detailed shots that will capture every nuance in the scene (thus, the comment above about the bed of roses that has thorns – this is it! Because of how pricey lenses can be, I’ve purchased more lenses in the form of home security cameras wireless to stop my collection, as we as other household appliances from ever being pinched. 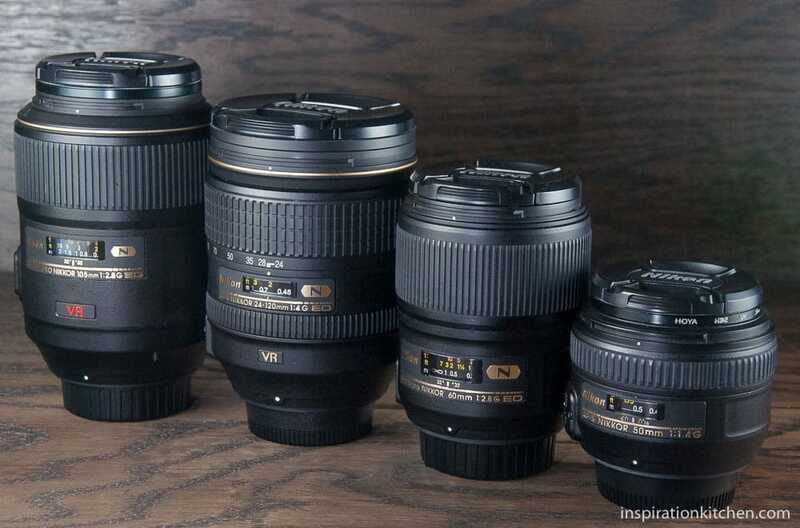 OMGosh, it was so hard to choose between my 1st and 2nd choice in picking my go-to lens. 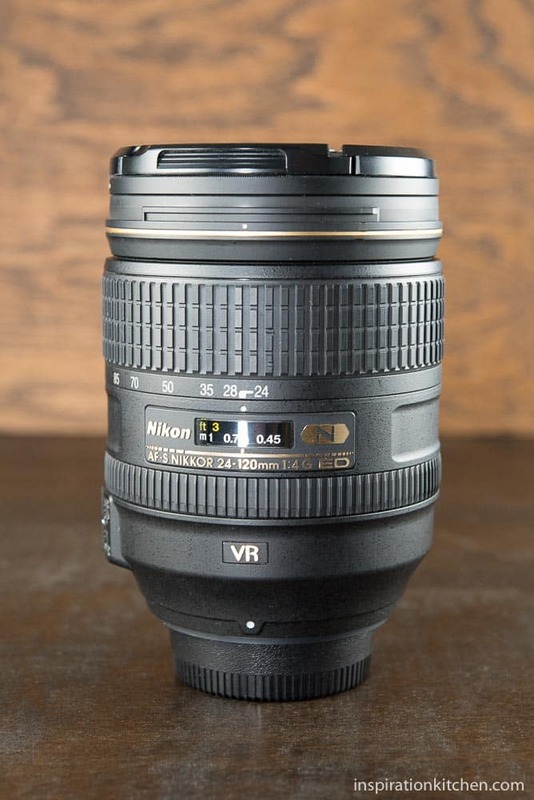 But, when I talk about food photography, this is my 2nd favorite lens. It’s inexpensive and takes great shots. I call it my “walking lens”. It’s compact and lightweight enough to pack in your purse, wherever you go – which is why I call it my walking lens. In my upcoming My 2nd Favorite Lens for Food Photography post, I’ll share how wonderful and flexible this lens is and why regardless of which lens you use for food photography, this is a must-have lens in your bag! This lens varies in price and will cost roughly $400 – $500, which is a great price for the quality of the photos it produces. 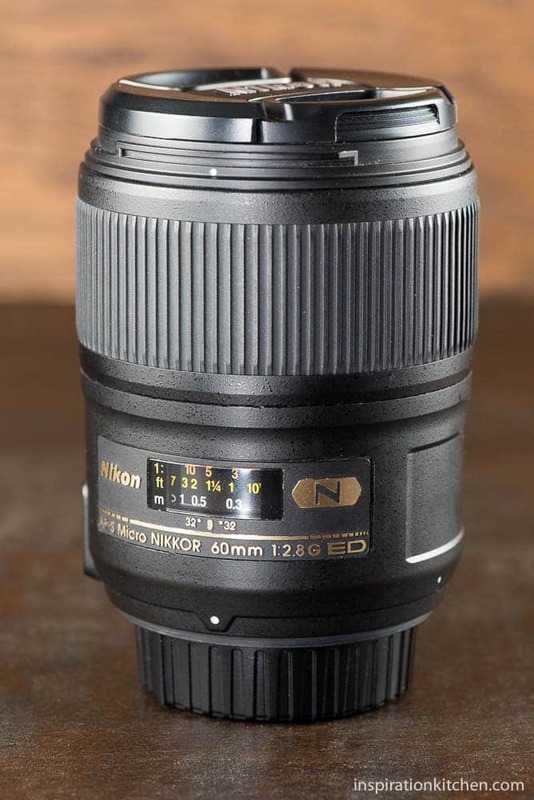 I almost feel like I’m cheating you by naming this 60mm Macro Lens as my 3rd favorite, when I named a similar lens, the 105mm Macro Lens, as my 1st favorite. But, please hear me out! They ARE different lenses, they do have different purposes, and there are definitely situations when you will use one over the other. Trust me on this. In my upcoming My 3rd Favorite Food Photography Lens post, I’ll share all the nuances and highlight the differences between these two lenses and why you’d choose this one over the other, more expensive, lens. In addition, in a completely unrelated reason for why you’d use this lens, this lens is one-half the price of the 105mm. 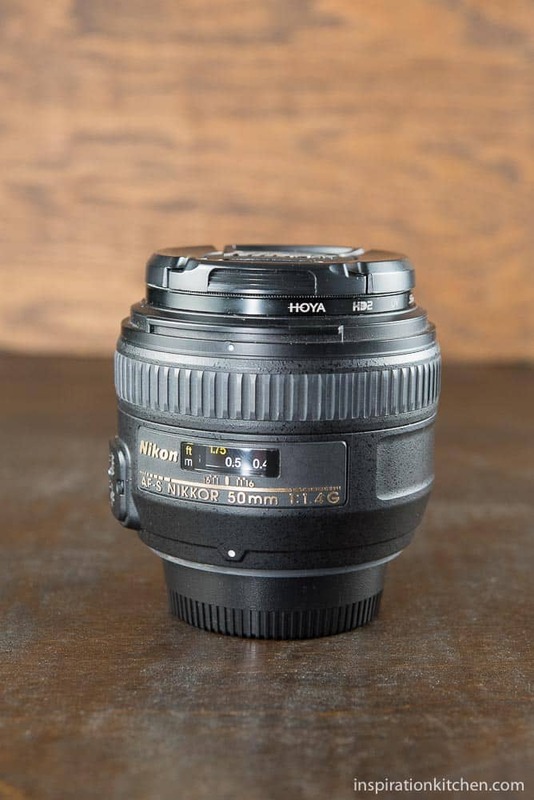 So, if cost is a factor to you, this is one serious lens to consider. Although I’ve chosen this lens last as a food photography favorite, I will tell you that of all of these lenses, it is the most flexible and has the most versatility for all kinds of photography – not just food photography! So, if you’re looking for a lens that can be a work horse in a variety of situations, and you are on a budget, invest in this lens first. Because it is a zoom lens, you can get a nice distance shot, or zoom in to capture more details. In my upcoming My 4th Favorite Lens for Food Photography post, I’ll get into the nitty gritty details about why this lens is a great investment, how you can use it in every day life, in the kitchen and beyond and why it should be a serious contender when you are lens shopping. I’ll also share a few challenges you may face if you choose it as your primary lens for food photography. Please stick with me as I go through this series! I have a lot of information to share that you will find helpful as you navigate the landscape of food photography.